The Lightning Spell Tactics is one of many Spells Tactics in the Clash of Clans game. Common information about the Lightning Spell is Here. Seems that in new Game Update the accuracy of the Lightning Spell’s strikes was improved. Two Level 7 Lightning Spells can’t destroy Level 8 Air Deference. In this first episode of the new series, Master the Spells in Clash of Clans, I want to start with the very first Spell you see in Clash of Clans – the Lightning Spell. You can destroy things with the Lightning Spell for sure, but I want to show you how you can destroy things more effectively with it. 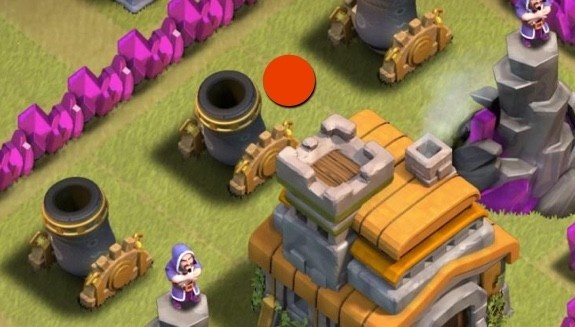 You can either use the Lightning Spell to destroy enemy Troops from the Clan Castle, or certain buildings Mortars, Wizard Towers, Archer Towers, etc. Often used to destroy enemy Air Defenses, followed by the attack of the Dragons. You can even destroy a Builder’s Hut with it if you need to get that final percent for your victory (see here a list of buildings you can destroy with the Lightning Spell). Destroying buildings and killing Troops is also something that the Poison and Earthquake Spells can do so this post will focus on the things that will really need that Lightning Spell. Attention! Using the Lightning Spell on Storages is not possible any more. Since the Update on July 1, 2015 Storages will not lose any hit points or Resources from Spells! The interesting fact is not what you can do with the Lightning Spell – the secret of becoming a Master of the Lightning Spell is behind the placement and timing of the Spell correctly, and this is what the next part of this post is all about. 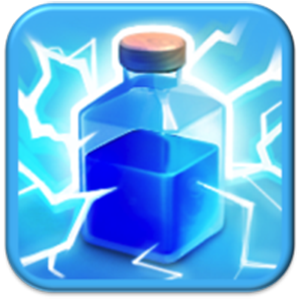 With the new Poison Spell there is no real need to use your Lightning Spell to kill Troops any more – the Poison Spell deals more damage to them, has better area damage and also slows them down. Read here my guide for the Poison Spell. It’s important that you don’t use your Golems, Dragons or anything like that with high health because they really drop in health when they get in the radius of the defending Clan Castle troops. When you have grouped them, you have to put the Lightning Spell EXACTLY on the very point they are standing to get the full damage. You can see here that the Wizards got the full damage of the Lightning Spell but the Archers next to them didn’t get any. I had to use my second Lightning Spell. In this case, no problem, because the Lightning Spell I brought wasn’t good enough to kill Wizards level 5+ so I knew I had to take two of them. 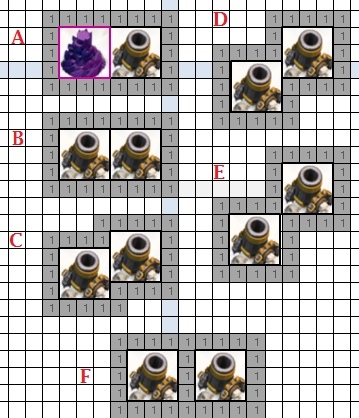 Would I have double-dropped them in between those two groups, I probably would have had some Wizard survivors and my Hog Rider would have had a big problem later in the attack. Many now think that the Earthquake Spell is way better to destroy buildings, but as you can read in my post about the Earthquake Spell,the Lightning Spell is the best choice to destroy certain buildings while the Earthquake Spell is better to destroy Walls. First of all, you have to know how many Lightning Spells to bring into a raid. If you’re going after a Mortar or a Wizard Tower you’ll need 2 Lightning Spells and for an Air Defense you will have to bring 3 Lightning Spells. Like we have seen above, you also have to place the Lightning Spell directly in the middle of the building to have the full damage. The damage outside is dealt randomly – it might not be enough. It’s a great combination to use 2 Lightning Spells plus an 1 Earthquake Spells on specific buildings because the Earthquake Spell will take down the last hitpoints but only takes 1 Housing Space. This will need a lot of practice and we recommend you to completely zoom in on your device for placing the Spell. We have managed to do this on iPad Mini, but always fail on a phones because the screen is simply not big enough. You can use them very well with Hog Riders to clear the Clan Castle Troops or with all Dragons to destroy an Air Defense or also what I can really recommend is BARCH, because you can clear out one to two Mortars and maybe even another Wizard Tower if they are close together. Did You ever have moments when before the destruction of the Town Hall of the enemy and of victory remained quite a bit, but You have not left a single troop? In this case, crucial to the outcome of the battle can play a remaining Lightning Spell. It depends on what Town Hall level You are dealing with, and what level Lightning Spell You have. Complicating the situation is that you don’t know the exact number of hitpoints left at the Town Hall, so we recommend doing this when the town hall is not more than 10% of the remaining health. Remember, that Lightning Spells are used to destroy certain buildings (usually defenses) or against defending Clan Castle Troops in lower Town Hall regions. Never give the attacker the possibility to use it to destroy two Defenses for the price of one. 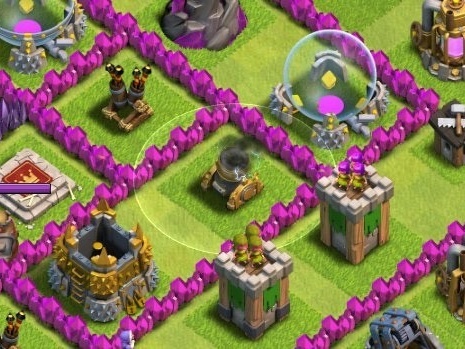 Attackers always want to destroy a certain kind of defense – BARCH hates Mortars and Wizard Towers, air attackers want to take down the Air Defense. For example, never place two Mortars or Air Defenses side by side to each other. Otherwise, the attacker will be able to destroy more than one Mortar or Air Defense at once and that’s what you not want to happen! So, never place the same Defenses next to each other without at least some empty space in between!